Unfortunately, studies show that most of us will be in an auto accident at some point in our lives. The only question remaining is how bad will it be? Seek treatment as soon as possible. If you are seriously hurt, go to the ER or local hospital. Be sure to ask for a physical therapy prescription, just in case you may need it. If you still experiencing pain or discomfort a few days or more, come to our office to determine if you need further care. Remember, come in ASAP in order to get better, faster. Most Auto Insurance companies have what is called Protocol or Section B, Benefit Plan. This means you are covered 100%, with no-out-of-pocket expense up to a certain limit. Our office can check into that for you. If the accident was not your fault. The other party’s auto insurance should cover your health care expenses in our office. We will do all of the paperwork for you. At the accident scene, gather as much information on the other driver or drivers as possible. An accident report by Police is always helpful, but not required to have a case. You should never settle with an insurance company before you have had us evaluate your injury for you. If you settle before your injury is fully resolved, you will be completely on your own and will have to pay out of pocket for your care. 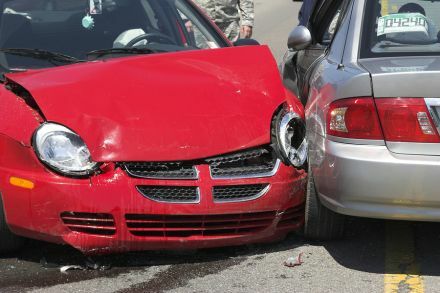 Dealing with insurance companies can be difficult after an auto accident. Hiring a reputable Attorney essentially takes you out of the direct bargaining process with the insurance company and all the paperwork & phone calls associated with that process, and allows you to concentrate on healing. Injuries sustained after a car accident if left untreated can lead to spinal degeneration and a host of other problems for years to come. FINAL NOTE: We find that many people involved in an auto accident that WAS THEIR FAULT never get treatment. This tends to be due to the fear that their insurance will go up after a claim is filed. Your Protocol or Section B, Benefit Plan is why you have auto insurance in the first place. Many insurance companies will not raise your rates after 1 or even 2 accidents in the same year. THE INJURIES SUSTAINED IN AN AUTOMOBILE ACCIDENT CAN CAUSE A HOST OF PROBLEMS FOR YEARS TO COME, OR EVEN THE REST OF YOUR LIFE. YOU OWE IT TO YOURSELF TO COME IN AND GET CHECKED.